Shabeer Bappu was grabbed by the Tamil Thalaivas at the price of 10 lakhs INR! The 2019 Pro Kabaddi League player auction is done and dusted as the coaches and the team management of all teams now look forward to the seventh season of the Pro Kabaddi League, which commences in the month of July. Siddharth Sirish Desai emerged as the costliest player from the player auction as the Telugu Titans submitted a stunning bid of ₹1.45 crores to get the raider in their squad. Desai will have to fill in the big shoes of Rahul Chaudhari who moved to the Tamil Thalaivas in the auction. However, apart from these big money purchases, the teams also made full use of smart budgeting techniques to get some marquee names in their squad at a low price. Here's a look at the top 5 bargain buys from the auction. Gujarat Fortune Giants are perhaps the unluckiest franchise in Pro Kabaddi League currently. Despite playing like champions in the league stage, the Ahmedabad-based franchise has struggled to execute the final step to the title properly. They have reached the grand finale of the last two editions yet finished as runners-up. However, they are known to make some smart purchases in the auction as they always tend to invest in youth. In this year's auction, they bought a rather experienced player at a low price when they signed Abolfazl Maghsoudlou for a price of ₹15.95 lakhs. The Iranian raider has immense experience of playing in the Pro Kabaddi League. Also, he has 147 points to his name in the 41 matches he has played. The most important statistic of his career is his not out percentage (76.58). Follow Sportskeeda for all the latest Pro Kabaddi 2019 news, updates, schedule, and live scores. 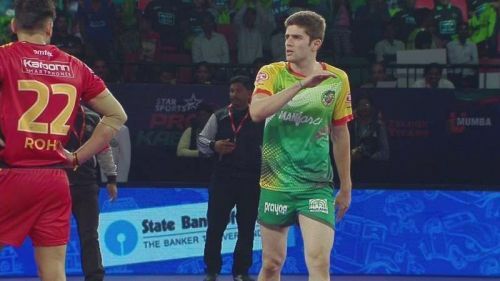 PKL 2019: Have Telugu Titans made the right move by replacing Rahul Chaudhari with Siddharth Desai?